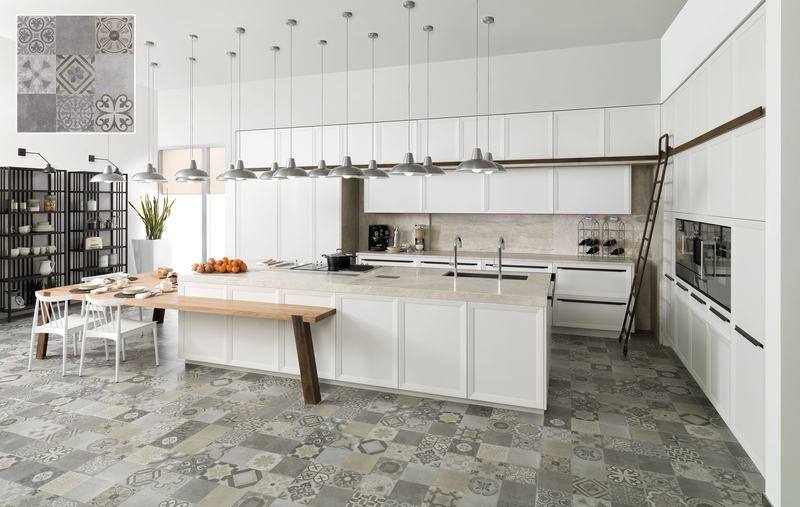 Bring the vintage charm of mid 19th century France into your home with our selection of hydraulic tiles. The unique and timeless character presents itself through lively floral tapestries, geometrical compositions or starry profiles. From highlighting an area of a wall, to projecting a carpet style flooring, hydraulic tiles bring a cozy atmosphere reminiscent of the past. 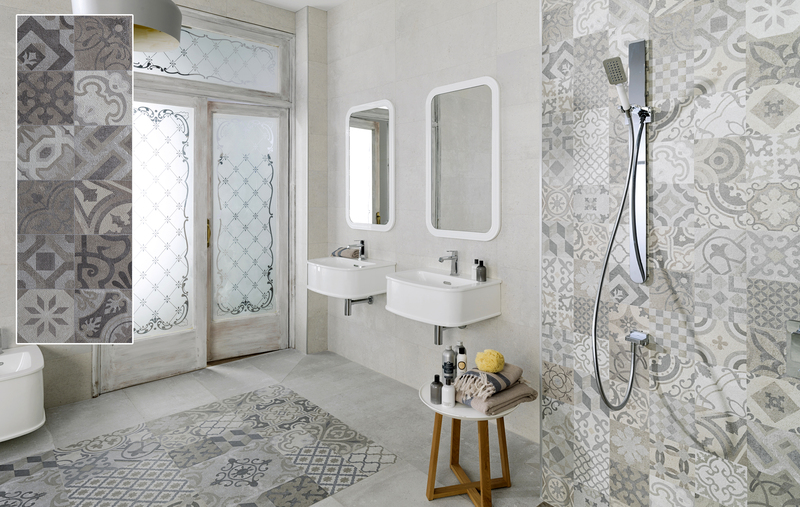 The geometric sequences in Porcelanosa’s BARCELONA collection encompass the traditional old world Spanish style. 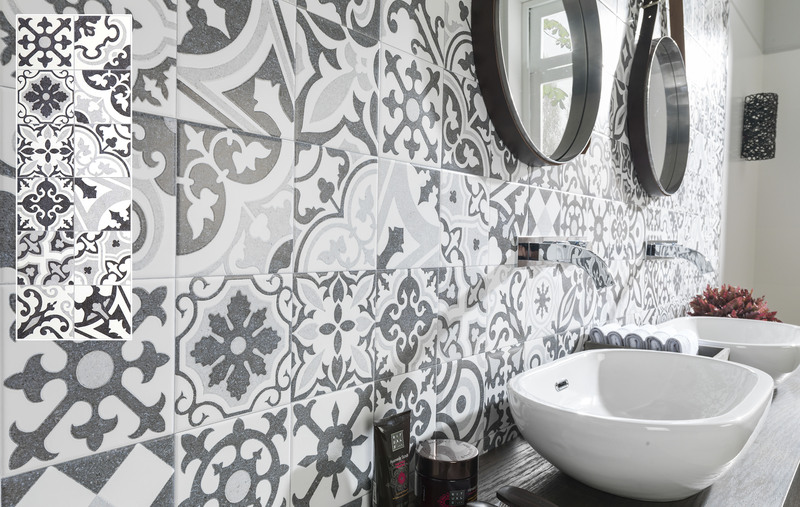 Floral designs, circular patterns and outlines of stars appear in the tiles in the form of warm neutral colors. The Barcelona series can be used on floors and walls. DECO BLUESTONE, is a floor tile inspired by ancient bluish stone. Made of ceramic stone, it’s a highly resistant material which features the high performance of porcelain tile. The tile has a weathered vintage finish adorned with a decorative pattern set to neutral earth tones.